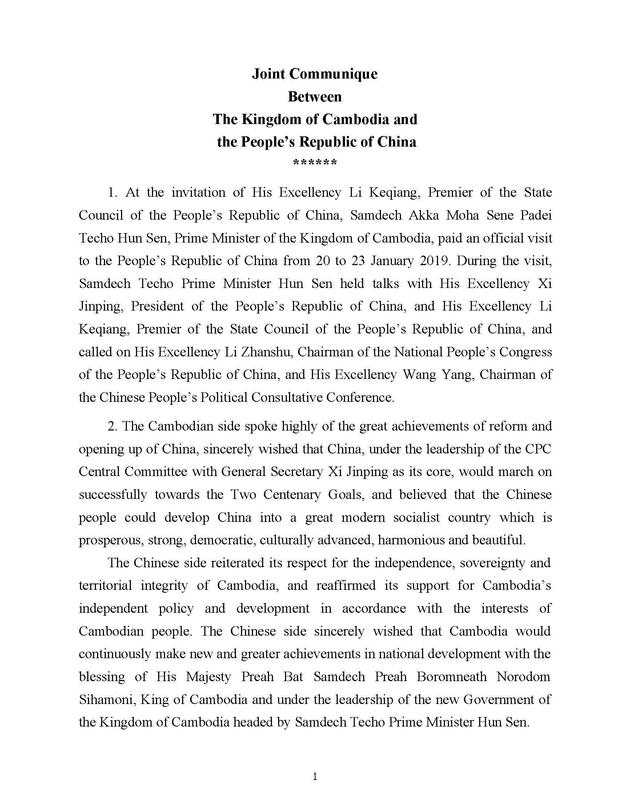 Phnom Penh (FN), Jan. 23 – Cambodia and China stated that the three-day official visit to China of Cambodian Prime Minister Hun Sen injected new impetus into the development of the Cambodia-China Comprehensive Strategic Partnership of Cooperation, according to the Joint Communique dated Wednesday. 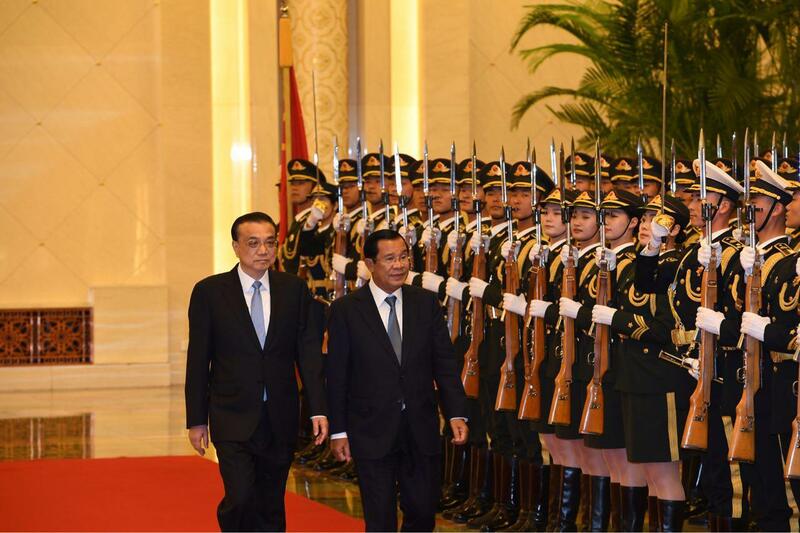 During the visit, Prime Minister Hun Sen paid a courtesy call on H.E. 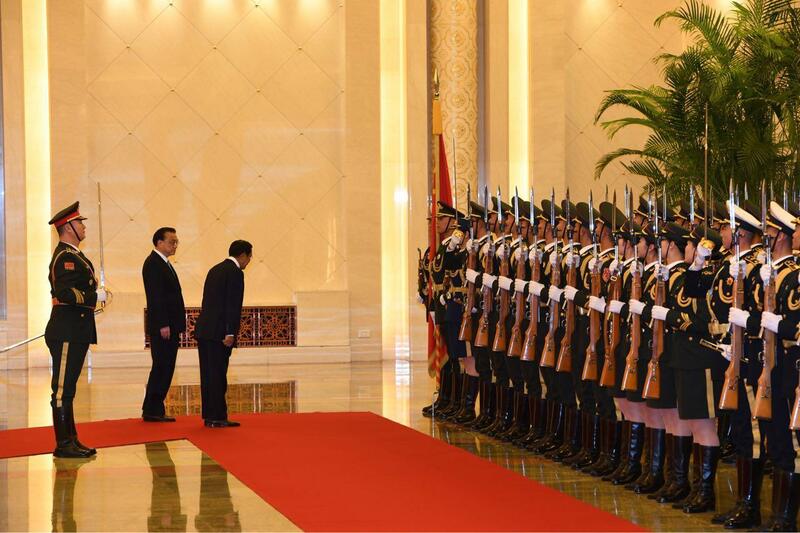 Mr. Xi Jinping, President of the People’s Republic of China; H.E. 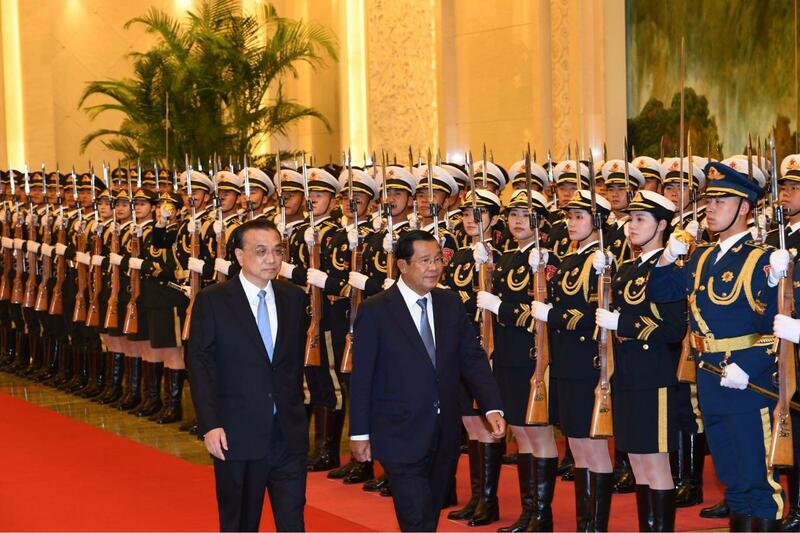 Mr. Li Zhanshu, Chairman of the Standing Committee of the National People’s Congress; and H.E. 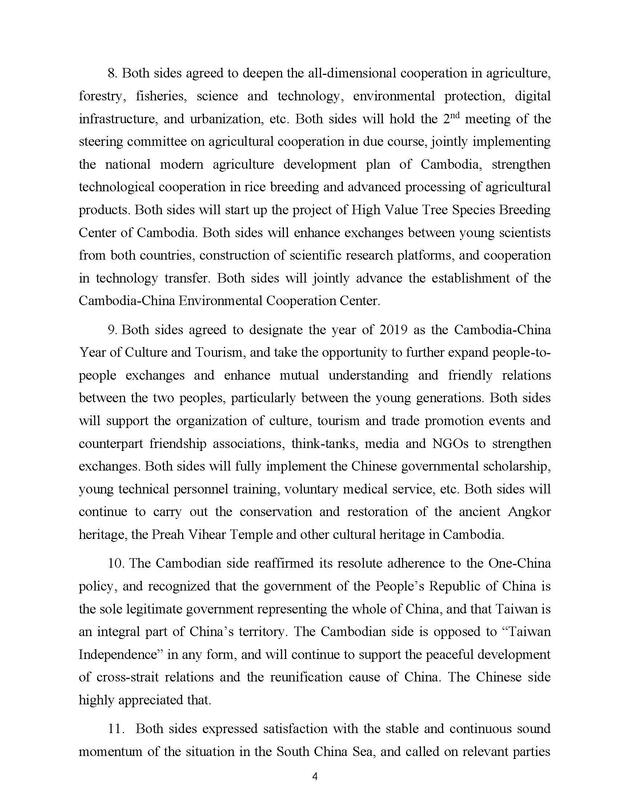 Mr. Wang Yang, Chairman of the Chinese People’s Political Consultative Conference, and hold bilateral meeting with H.E. 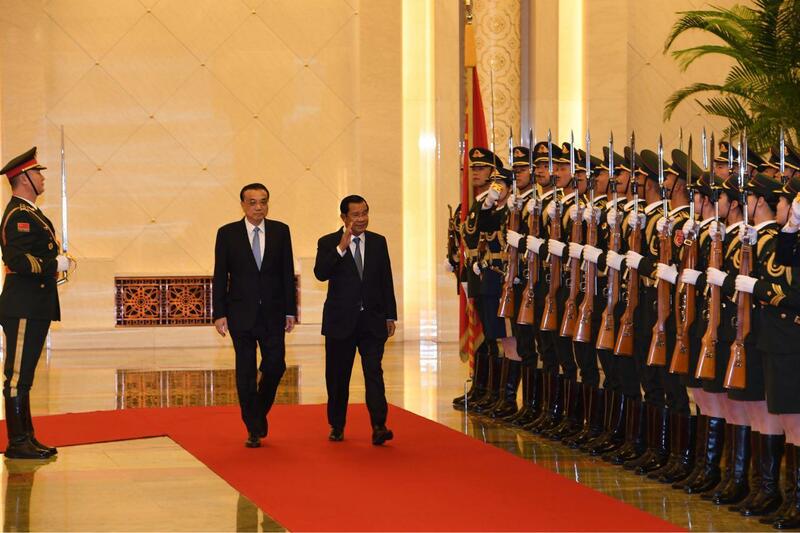 Mr. Li Keqiang, Premier of the State Council. 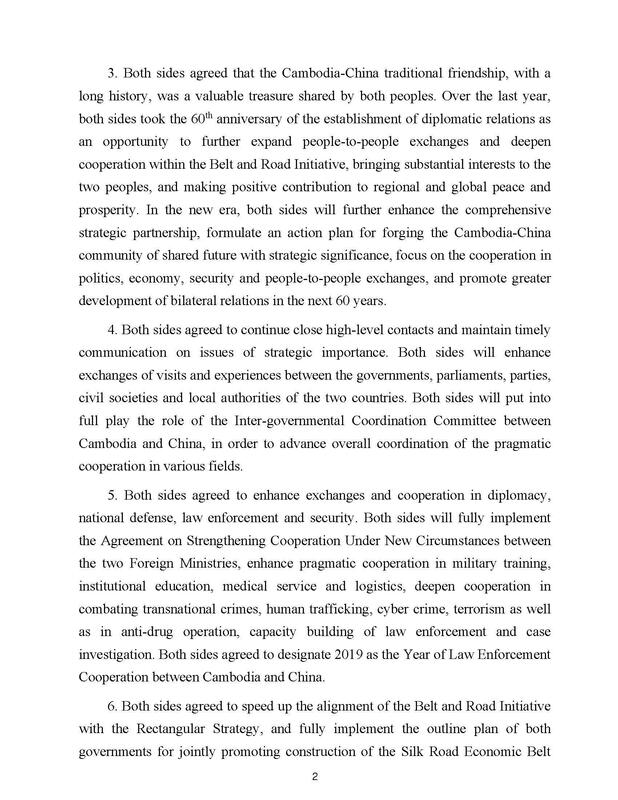 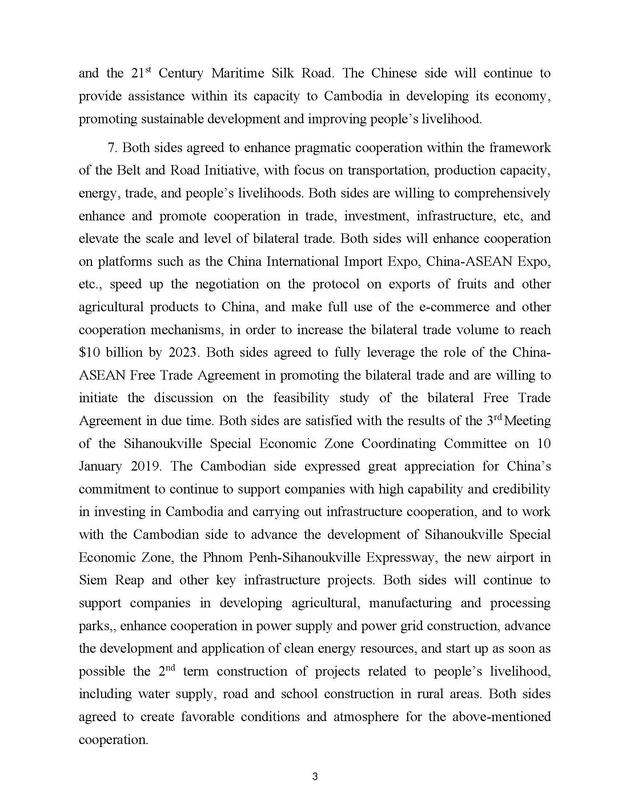 The two sides signed cooperation documents in the fields of people’s livelihood promotion, transport, and infrastructure and so on. 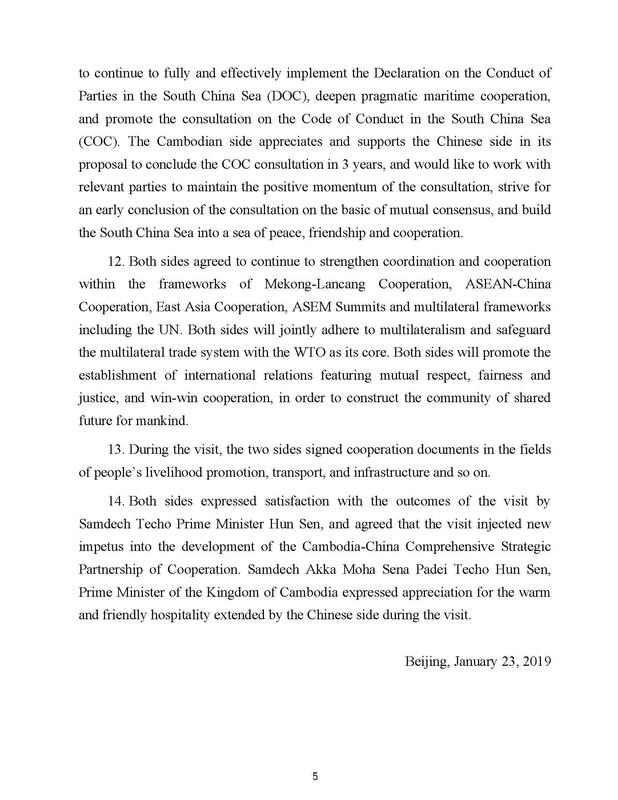 Both expressed satisfaction with the outcomes, while Samdech Techo Prime Minister Hun Sen expressed appreciation for the warm and friendly hospitality extended by the Chinese side during the visit.